Keywords: Antimicrobials, Biofilm, Farnesol, Molecular signaling, Quorum sensing, QSM. Keywords:Antimicrobials, Biofilm, Farnesol, Molecular signaling, Quorum sensing, QSM. 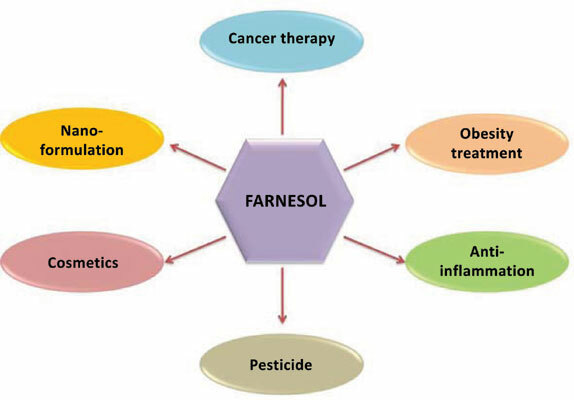 Abstract:Background: Farnesol is an acyclic sesquiterpene alcohol, endogenously synthesized via the ergosterol pathway. It is a quorum sensing molecule (QSM) that was first discovered in C. albicans, and is involved in the inhibition of hyphae formation.